Happy Birthday Helium Balloon - Surprise a Loved One! Year after year it gets more difficult to think of new gift ideas for your family and friends. So you may resort to the traditional choices; dad gets a tie, and mom a box of chocolates. Why not try something new, and surprise them with a Happy Birthday helium balloon? A birthday balloon gift can be delivered to their home or their place of employment. How exciting would it be to have a group of balloons show up during a long work day? Not only would you be giving them a gift, you would be brightening their day in a location they probably are not expecting it. Plus, all of their co-workers will have the benefit of enjoying the festive appearance of the balloons. Instead of a bouquet, you could have a birthday balloon delivered with another small gift. A teddy bear holding one Mylar balloon, or a piece of jewelry attached to the end of a balloon string would really liven up their birthday workday! See our tips on choosing the right balloon delivery service. 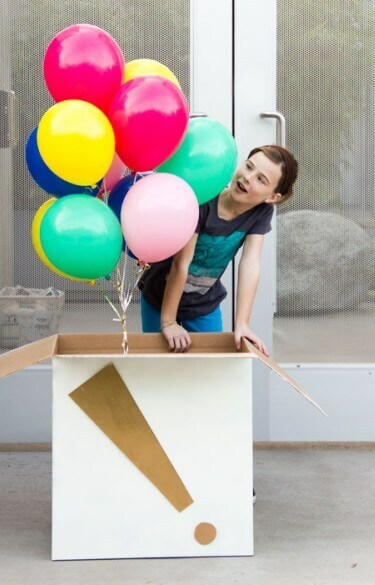 If you have decided to do balloon delivery for a child, there are a lot of additional creative things you can do to make their birthday special. You can have balloons delivered to them during their school day. It may create a ruckus, so try to do it later in the day. The other kids will be as excited as your child! To add even more suspense, consider delivering your helium balloons in a box. After your kids arrive home, keep the balloon theme going. Serve them a balloon birthday cake, decorated in the same color balloons as the ones they received earlier in the day. Wrap other gifts in paper decorated with balloons. You can even include a more extravagant balloon related gift like a balloon charm or a future hot air balloon ride. 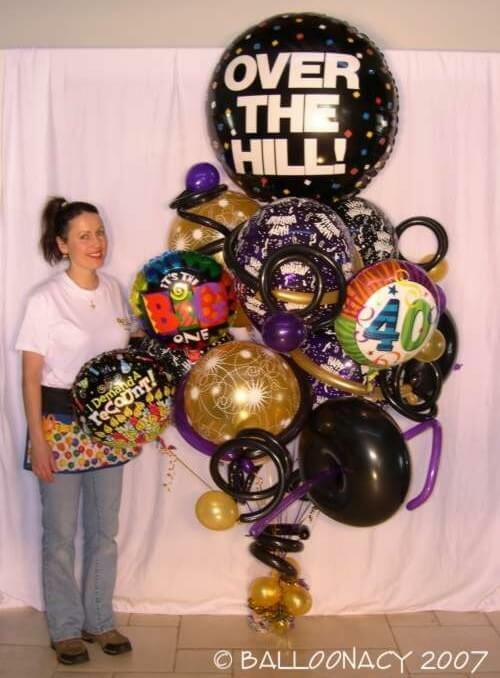 If your child is too young to have balloons delivered to school, you can still give them a balloon themed party. First birthday balloons are some of the most popular on the market. Many of them feature typical themes like rocking horses, teddy bears, and dolls. Sometimes balloons can be personalized with Mylar stickers, so you can include your own birthday message. If there is a particular character your child likes, they may have a balloon featuring this favorite. If none of these suit you or your child, try creating your own selection of balloons for a first birthday celebration, as seen in the photo below. 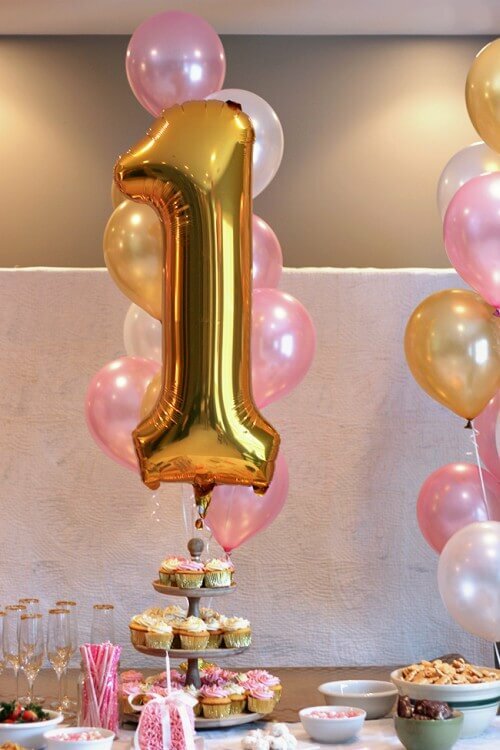 The combination of the golden letter balloon with 11 inch latex balloons in pink and pearl make for a lovely decoration. You can get sets like this at Amazon for about $10. Just remember that you'll also need a helium tank to fill the balloons. Balloons are a great way to liven up any birthday celebration. Get creative and surprise them with something other than the expected traditional gift this year. Even better, create a whole new birthday tradition with balloons! Want to send a Balloon Bouquet now?